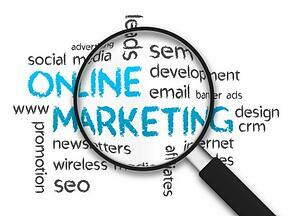 Why do you want to implement online marketing? The response of “everybody does it” should not be your primary reason. Instead make sure you have specific business goals in mind that your marketing plan will align with. These goals can include new customer growth, expand service territory, introduce new products or build loyalty with current accounts. Who is your target market? Clearly define your audience so that you can understand what online techniques will work best and what sites should be used to reach those potential customers. What is your marketing budget? Many companies have a hard time quantifying their marketing expenses and determining ROI. With online marketing there are many ways to measure success and keep expenses under control. Where do you want to market? The online world is vast and it can be easy to spread your marketing investment across a vast array of web sites, search engines, and social media channels. Instead consider focusing your online marketing locations to specific sites and channels where your target audience is most likely to frequent. An experienced online marketing firm can guide you through a carefully managed marketing plan including every online marketing cost associated with your activities. Your marketing methodology should include routine analysis of the results compared to the original goals. Almost every marketing initiative will need some tuning or adjustments, but it is important to monitor the activities to stay within budget. For more information please call us directly or click the button below and we will contact you. Thank you.